As British prime minister David Cameron steps down, Tanya Steele, Interim Chief Executive of Save the Children, made the following statement about his legacy on overseas aid. 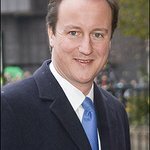 “During his time as Prime Minister, David Cameron has shown global leadership on overseas development,” said Steele. "His commitment to spend 0.7 per cent of national income on helping the world’s poorest people is something the British people can be deeply proud of and it will leave a lasting legacy for future governments and other nations to follow. Save the Children sees the impact of this commitment every day – saving lives, helping children go to school and supporting countries towards economic independence.